Packaging Dimensions 1.8 in. x 1.6 in. x 0.6 in. 2 answers Hi is this true bypass and can it be used for a vox wah? True bypass is achieved by how the switch is wired and is not an inherent characstic of the switch itself. This can be used in a Vox wah if it calls for a DPDT switch. It can also be used as a single pole double throw switch of course. Just don't use the second pole. 1 answers Witch voltage and current levels can it handle? Hello this DPDT footswitch has the following specs: 1A 250V, 3A 125V. 1 answers Is this the kind of switch that clicks when you step on it? Or a noiseless, soft on/off like some of the newer pedals have (such as my TC Electronics Ditto)? 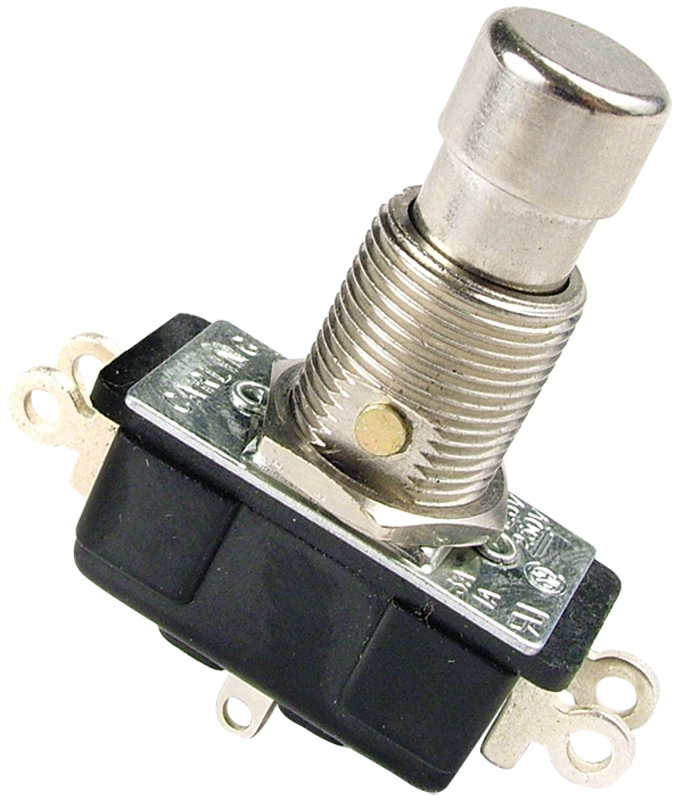 Yes, this is a latching style footswitch. You would get a click when you step on it. 1 answers What country was this product manufactured in? These switches are made in Mexico. 1 answers Can you ship this component to Tokyo Japan ?